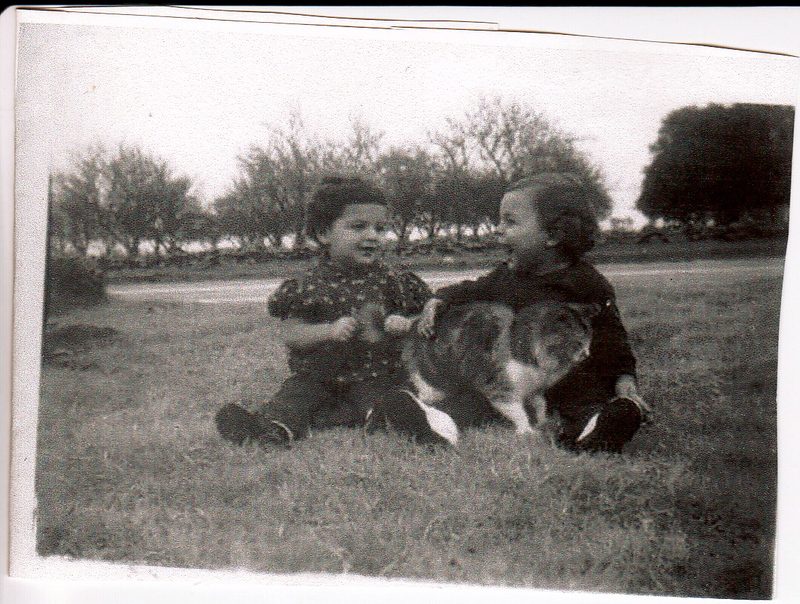 My cousin Michele and me playing with a kitty! When I was very young I became an avid reader. My imagination was so vivid that when I read about the young Shoshoni Indian girl Sacagawea, of the Lemhi Shoshone band of Northern Shoshone, I was in her skin as she accompanied the Corps of Discovery (Lewis and Clark Expedition) with Meriwether Lewis and William Clark in their exploration of the Western United States. I imagined myself out under the stars at night and wanted to be brave. I read “Cherry Ames Student Nurse” I desired more than anything to become a nurse who would be a great comfort to all the people for whom she cared, I became compassionate and concerned at the tender age of 10. I read of Jane Eyre’s courage in the orphanage battling prejudice, now there was a girl with whom I could relate, I felt that I had an inner secret that made me different and strong and special. But my greatest revelation came as I read the Pilgrim’s Progress, by John Bunyan. When Bunyan wrote that book, published in February of 1678, he couldn’t have known what an impact his book would make on a little girl who was a “pleaser”, one who was suffering being bullied at school without disclosing it to her parents because the bully was the child of one of the church members that sat and listened to her dad every Sunday as he gave his sermon. As I read of Christian and his struggles I suffered with him as he went through the Slough of Despond, I was right there with him struggling to reach the Celestial City. I began to pray in earnest and as an eight-year-old child and I had no doubt as I listened that He would speak to me if I listened with my heart. I remember lying in my bed looking at the white ceiling with the light bulb hanging on a cord over my head and waiting, it paid off as I began to have dreams and visions that would come to pass, I would hear Him say things to me that helped and encouraged me, that made me want to draw closer to Him and make sure that I made that Celestial City my goal as it was Christians. Can you remember looking into your future as a child or a young person and having a goal? Did you reach it? Have you given up your dream? I fail every single day to be the person that I have set out to be but what sets me aside from others that do the same is that I will get up, shake myself off, and start all over again. I don’t know why we go through the things we do in our life, but we cannot allow ourselves to be diverted from our vision. If a person is running a race and keeps looking over his shoulder I think the runners behind will quickly catch up and over take him in the race. You can’t drive around 285 watching your rear view mirror or you will find yourself in a massive pile-up! Put blinders on to all the distractions that are around you and keep on keeping on. Ecclesiastes 9: 11-12 “The race is not always to the swift, nor the battle to the strong”, It’s the person that runs consistently and never quits that gets to the goal. 1 Corinthians 9:24-25 “You’ve all been to the stadium and seen the athletes race. Everyone runs; one wins. Run to win. All good athletes train hard. They do it for a gold medal that tarnishes and fades. You’re after one that’s gold eternally.” Then in Hebrews 12:1 “Therefore we also, since we are surrounded by so great a cloud of witnesses, let us lay aside every weight, and the sin which so easily ensnares us, and let us run with endurance the race that is set before us.” Back to the goals I made as I read, Sacagawea foraged in the woods and helped make a way for Lewis and Clarke, I forage the aisles of local grocery stores looking for the best bargains for my family and trying to help them find their way in this life. Instead of wearing a white cap and learning how to turn the corners of a bed sheet just right I am caretaker for my parents who are 95 and 89, I dispense medicine, empty bedpans and try to serve healthy meals to people who no longer have an appetite, and try to do it with “Cherry’s” cheerful personality which is not very easy most of the time! But above all those or any other dream or goal I had in my youth and childhood, I am Christian. Yes I have a heavy weight on my back and I get bogged down in the Slough of Despond but I pull myself to the edge of the bog and ask for help from God who always brings it to me. If you need help Psalm 34:6 This poor man cried out, and the Lord heard him, And saved him out of all his troubles. I encourage you to remember your goal and begin again and again and again until you finally arrive at it! You are too funny but my thoughts exactly! HA HA Now if I can figure out a way to get paid I’ll be in business! I love you kiddo!